Quiz: How Well Do You Remember Your Retro Canadian TV? And not every question is about Degrassi! 1. What was the name of this "neat and tidy crew" from this late 80's cartoon? Have YOU met the Suntots? Thanks to their Magic Coral they will live forever, and they want the same for you. Not creepy at all. 2. What was the name of the group of friends that shared spooky stories on this 90's TV show? 3. Which Canadian Actor contributed the voice of Brother Bear in this 2000's cartoon? 4. Which Canadian show launched this "Scream" stars' career in the early 1990's? Sadly this YTV show only ran until 1994, but luckily the Craft and Party of Five were just around the corner! 5. The "overhead clap" was the trademark of this classic game show north of the 44°? Finding yourself in the winners circle of this show would find you taking home such prizes at Pogoballs, Skip-its or a Nintendo Gameboy to name a few. 6. PJ, Ace, and Buddy were members of which Kids Rock Band? 7. This garbage eater, and Max's best friend was the title of this 90's cartoon? This cartoon promoted handcuffing your best friend. Weird. 8. This TVOntario show from the 80's features Jeff, Jodie and Sam Crenshaw? And don't forget Muffy the Mouse! 80's puppets...Shudder. 9. 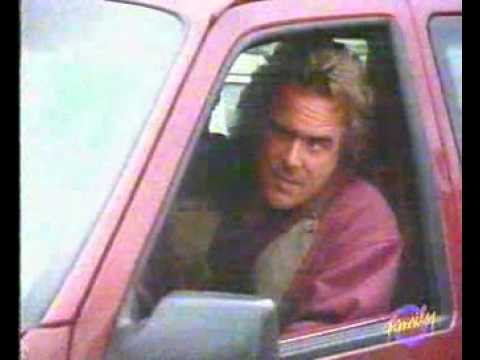 Winston Rekert starred in this 1990's CTV show about a therapist for troubled kids which he brings to his ranch. Neon was so hot back in the 90's. Sadly Winston passed away in 2012. 10. Name of this Pink evil doing Aardvark from the CBC show "Raccoon's"? 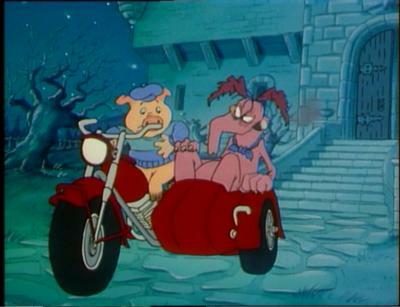 Cyril eventually becomes an Anti-Hero later on in the show.